Interior FEP binding stands 200°C. Stand against most of chemical material such as acid, impregnant, alkali (except NaOH). The size can be very small. Thin and small curly semidiameter. 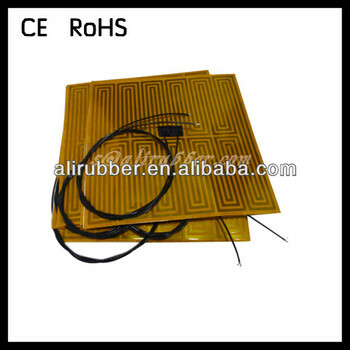 Temperature Range: -50°C~200°C, the max temperature is 200°C for the heater with paster. Better choice far high watt density heaters (those over 5 watts/in2). Also used for watt densities of 5 or less. Excellent choice for heaters that require multi-zoned wattages or heaters that have many holes and/or cutouts. May provide an economic advantage for high volume applications.